We offer Master of Science programs in Communication Studies and Strategic Communication. Specific details and requirements for all our programs can be found in our graduate catalog. The Department of Communication Studies offers a Master of Science degree in Communication Studies. This program combines the fields of interpersonal, organizational, and health communication to create a unique academic focus. In our rapidly changing electronic age, there is a tremendous need for technically competent professionals with expertise in communication related to social and professional relationships. Graduates are qualified to pursue further study toward advanced academic and professional degrees; or to take advantage of a wide variety of professional opportunities in business and industry, including human resources, training and development, communication, and managerial positions. The Department of Strategic Communication offers a Master of Science in Strategic Communication (formerly Advertising/Public Relations) degree designed for working strategic communication professionals seeking to broaden their understanding of strategic communication theories and processes and skills in strategy, research, storytelling, digital media, and leadership. Students will take a blend of advertising and public relations courses that enable them to compete in today’s digital and global world. Many of our graduate students in the Bob Schieffer College of Communication conduct research and write scholarly papers in cooperation with faculty. Research is an integral part of the curriculum, and many projects are presented and published regionally and nationally. Our graduate students may have funded opportunities to assist in instruction and research. TCU graduates enter the working world in a variety of careers such as journalism, public relations, dramatic arts, advertising, electronic media, broadcasting, and more. A communications graduate degree is also useful in related fields like business, education, government, health careers, law, social services, technology, and anything with an international connection. TCU master’s program alumni enter the working world in a variety of careers, including fields such as journalism, public relations, dramatic arts, advertising, electronic media, broadcasting, and more. 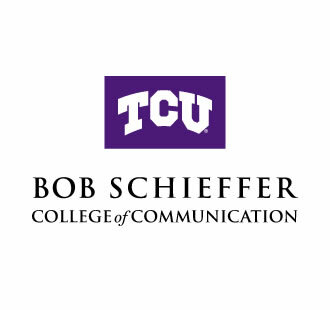 A graduate degree from the Bob Schieffer College of Communication also can be useful in business, education, government, health care, law, social services, technology, and international relations. Some of our master’s program alumni continue their educations in doctoral programs to pursue careers as academics and researchers.